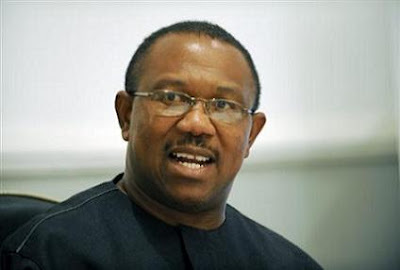 Former Anambra State Governor, Peter Obi, has said that venturing into politics made him a poorer man in terms of finance. Obi stated this in reaction to allegations against him by oil magnate, Ifeanyi Ubah, who claimed that he demanded N7 billion from governor Willie Obiano. In a chat with Vanguard, the ex-governor said: “You could even sense it yourself that it is sheer blackmail. I am a Christian and I am not supposed to swear, but I can put my hand on any form of ecclesiastically prescribed oath and say that I have never discussed with anybody to be paid any amount. I have never done that and I will never do that. “At this stage of my life, I cannot support anybody for political and personal benefits. I have passed that stage and to do so is to abuse the Grace of God in my life. I did not go into politics wretched; I was already a director in three financial institutions, a director in four other major companies; all by the virtue of my investments. I was also running a successful family business. "Going into politics even made me poorer but I won’t question anything because that is where God wants me to be. The joy of rendering fruitful service to the people cannot be quantified in naira and kobo. For me, all I want is for us to have a better society; caring for the poor and the people. “Ordinarily, I don’t react to comments people make, especially those made out of ulterior motives. I do not return evil for evil, rather I will cling to my rosary, praying for God’s love on all of us. "Having asked the question, let me tell you about an encounter I recently had. About two weeks ago, two persons came to me and said that they just came out of a meeting where it was discussed that for the upcoming elections in Anambra State, they will come out aggressively to attack my integrity and make it impossible for me to campaign for the candidate of my party. And I asked them how it would happen. “They said they didn’t know but they had what it takes to bring people to the media to shred my character before Nigerians through blackmail and lies. I thanked them and said that when they come, we will see it.